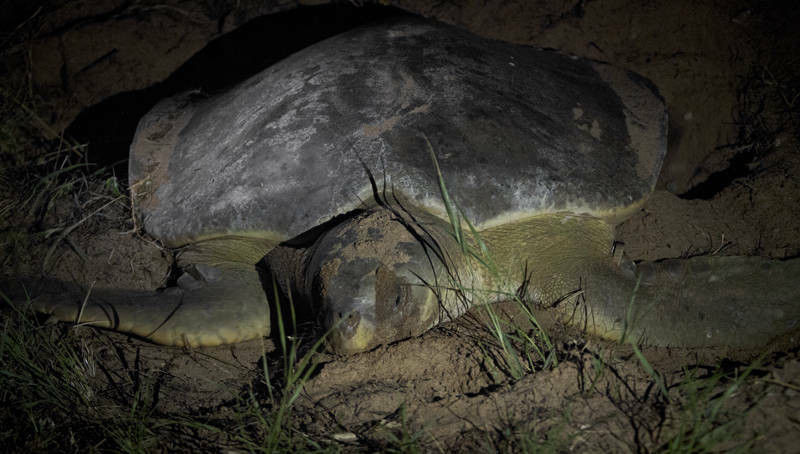 This animal is a flatback sea turtle which we were lucky enough to encounter laying eggs on a beach in Mon Repos as we travel north in Queensland. Later we visited the Museum of pioneer aviator Bert Hinkler who was born in Bundaberg. Among stunning botanic gardens his UK home, also named Mon Repos, had been shipped to Australia and rebuilt. We hope to get a boat to visit an island on the southern edge of the great barrier reef in the next few days. So far the weather has been kind and there has been no sight of the potential stronger storms as we approach the tropics. In 2017 a study of 299 nest sites around the world showed turtle numbers rising on average. However, in Mon Repos abnormally high sand temperatures from 2016 are believed to have caused hatchlings to overheat on their way to the ocean.